The fundamental theorem of calculus is a simple theorem that has a very intimidating name. It is essential, though. So, don't let words get in your way. This theorem gives the integral the importance it has. The fundamental theorem of calculus has two parts. The first one is the most important: it talks about the relationship between the derivative and the integral. I do this to show you that we can define an area function A(x). 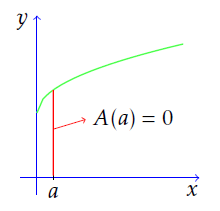 This area function, given an x, will output the area under the curve from a to x. That is, the derivative of A(x) with respect to x equals f(x). 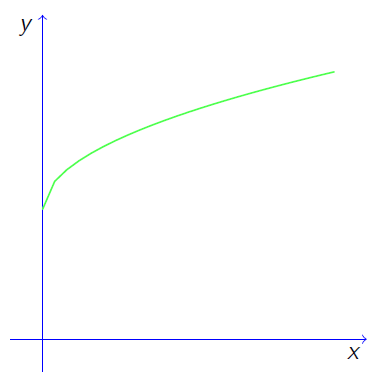 To get a geometric intuition, let's remember that the derivative represents rate of change. 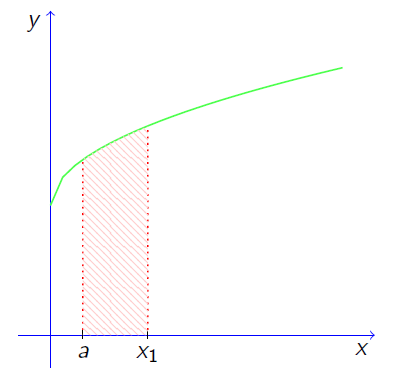 A'(x) will give us the rate of change of this area with respect to x. The fundamental theorem of calculus says that this rate of change equals the height of the geometric shape at the final point. To me, that seems pretty intuitive. 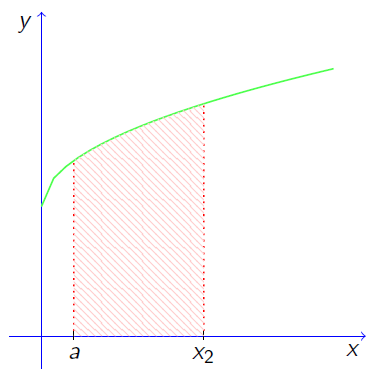 The second part tells us how we can calculate a definite integral. 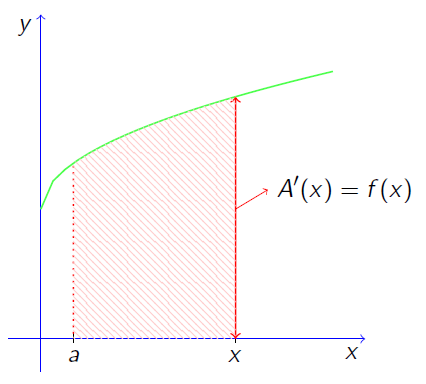 As we learned in indefinite integrals, a primitive of a a function f(x) is another function whose derivative is f(x). That simply means that A(x) is a primitive of f(x). In the first part we used the integral from 0 to x to explain the intuition. However, we could use any number instead of 0. This does not make any difference because the lower limit does not appear in the result. Here we're getting a formula for calculating definite integrals. Remember that F(x) is a primitive of f(t), and we already know how to find a lot of primitives! And that's an impressive result. This formula says how we can calculate the area under any given curve, as long as we know how to find the indefinite integral of the function. As you can see, the constant C cancels out. This will always happen when you apply the fundamental theorem of calculus, so you can forget about that constant. This is a remarkable result. You don't learn how to find areas under parabollas in your elementary geometry! This is a simple and useful notation. You'll get used to it pretty quickly. 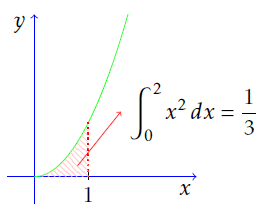 The fundamental theorem of calculus establishes the relationship between the derivative and the integral. 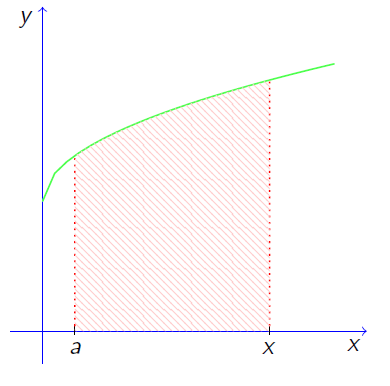 It just says that the rate of change of the area under the curve up to a point x, equals the height of the area at that point. This theorem helps us to find definite integrals.